You will fall in love with this East Battle Lake home on a quiet lake with great fishing & swimming! The 10 foot clarity and hard sand bottom just can’t be beat! You’ll be surprised how quiet and peaceful this big lake is. It Is well known not only for its great fishing and swimming, but is also home to Lutheran Island Camp and century old resorts. 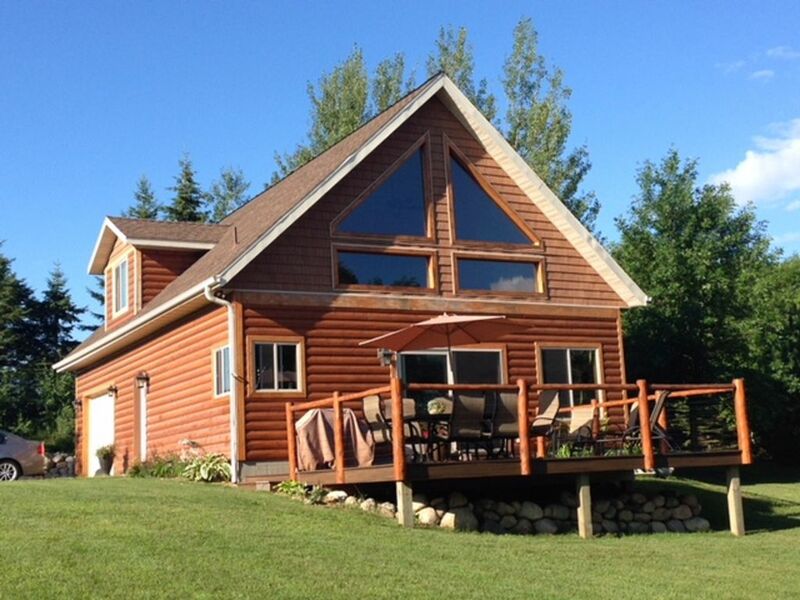 This property features a log cabin that sleeps 9. There are 2 bedrooms plus a loft sleeping area, 1 baths, and a lovely vaulted living area with gourmet kitchen. Almost everything is furnished for you. What you’ll need to bring: Food, swimming towels. Firewood is available for purchase at nearby convenience stores. Indoor towels and bed linens are provided for you. A washer and dryer is available if you need to wash anything while you are there. Jenny Hilton at Cabin Source is your property manager. A licensed Realtor since 2004 specializing in vacation rentals and lakeshore investment property. I've been spending summers on beautiful East Battle Lake my entire life and couldn't recommend it any higher! It's clear, quiet and spectacular place to spend lazy summer days on the dock and listen to the loons around the campfire at night. If you're lucky, you'll even catch a glimpse of the northern lights on your visit! Nice, modern cabin with beautiful view of the lake. Very nice, modern cabin with beautiful view of the lake. I like the landscaping and steps down to the lake. Nicely done. Incorporates nature into the design rather than a straight shot of wooden steps. You get your exercise walking back up to the cabin! But there is a bench half way to catch your breath if needed. Nice clean lake.